What books will I use in English 2? The official booklist for English 2: World Literature & Writing is now available. 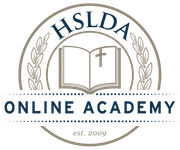 In the official booklist, you will find information about the editions, book descriptions, and the reasons why HSLDA Online Academy selected these books.